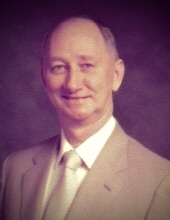 William Doward Stallins, age 90, of Garland, TX, formerly of Cape Girardeau, MO and Princeton, KY, passed away Sunday, February 10, 2019 at his residence. He is survived by his sister Velma LaPrad of Princeton, brother Dean Stallins of Hopkinsville, two grandsons, Jeoff Williams and wife Lori, of Dallas, TX, AJ Stallins and wife Andie, of Leander, TX; granddaughter Shannon Williams of Greenville, TX; and four great-grandchildren. He was preceded in death by his wife, Robbie Pauline Stallins; parents, Chester Stallins and Elsie Glass Stallins; two daughters, Janice Hull and Dian Stallins. Visitation will be held from 11:00 AM until 1:00 PM Saturday, February 16, 2019 at Morgan's Funeral Home. Funeral services will be held at 1:00 PM Saturday, February 16, 2019 at Morgan's Funeral Home Rev. James McKinney officiating. Burial to follow at Blue Springs Cemetery. To send flowers or a remembrance gift to the family of William "Bill" Stallins, please visit our Tribute Store. "Email Address" would like to share the life celebration of William "Bill" Stallins. Click on the "link" to go to share a favorite memory or leave a condolence message for the family.